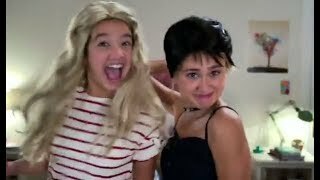 Andi Mack Review: Is Amber Still The Bad Girl? 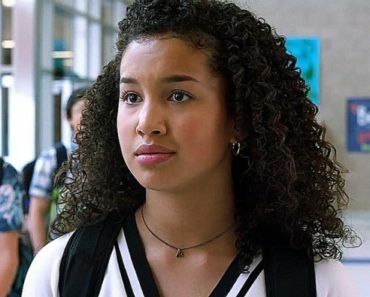 Andi Mack wouldn’t be a role model if she didn’t face adversity with a specific nemesis. Amber has been that nemesis since Day 1. Her behavior during the first season was awful. However, there is no such thing as a one-sided nemesis. Given that Amber was created by the same team behind Kate from Lizzie McGuire, we know there’s more to Amber than meets the eye. In the last few weeks, the audience has gotten to know the notorious bad girl a little better. She’s not perfect, but she’s not a monster either. Still, is it a good idea to befriend someone who has a history of choosing themselves over their friends? There are different ways of choosing yourself over others. First, we have misogyny. Yes, it exists from a young age and never, ever, ends. Though Buffy is just as skilled as any boy, she is frozen out by her entire team. Buffy’s first instinct is anger, pure and unbarred. It’s probably a good thing that she starts out with kindness, so that anyone who thinks she is being “overly emotional” will know that she is trying to make inroads. But there is no helping a guy who needs proof that Bex is the better player. At some point, a smart adult needs to step in and show the boys their misogynistic ways. You’d think Andi would be cautious around Amber, but Andi is all compassion. How could she not want to help Amber when the girl can’t go home because of her bickering parents. Amber’s barely keeping it together long enough to keep her job. Somehow, she ends up inviting Amber over for a sleepover. The two actually have a good time once Amber opens up. They are even bold together, sneaking out to an abandoned carnival. However, all of Amber’s good intentions go out the window when Jonah calls Andi. She immediately flips, and leaves Andi stuck on a ferris wheel. The beauty of having such a good child is that Bex doesn’t have to worry as much about Andi. She’s so confident in Andi’s sense of right and wrong, which is nice considering how much trouble she got into at a young age. Bex counts on this while she focuses on getting her Cosmetology license. Finally, it feels like life can move forward. She’s going after a career, she and Andi have a rhythm going, and even Bex and Bowie have a good system as parents. It’s because they were such, uh, free spirits, that they are more terrified than CeCe could ever be that Andi would follow their example. Picking their daughter up at the police station does nothing to ease their fears (or pride). Luckily, Bex and Bowie have each other to get through it, and come up with a revenge plan to make their daughter’s enemy feel guilty. I still say these two belong together. They just need some time. Is Amber all bad, or does she just have a really, really long way to go? 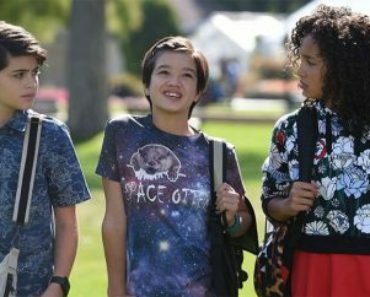 Andi Mack Season 2 Episode 5 Review: "The Snorpion"
Andi Mack tries to befriend her former nemesis, but things don’t go as planned. Editor of TVOvermind. In today's rising industry it is ambitious to be a die-hard television fan. Understanding the choices people working in Entertainment make in order to tell a story is a huge part of why I love what I do. I believe in the power of stories to delight, to dismay, to bring hope, to shed light, and to send a message. 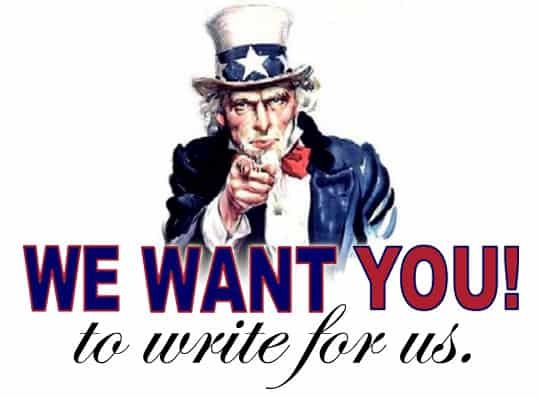 We here at TVOvermind love television as much as our readers. It is a privilege to connect with every single one of you.